Plus, how you can achieve NYFW's trendiest hairstyle. You can find celebrity hairstylist Suyen Salazar in the phonebooks of all your favorite it-girls like Georgina Wilson, Belle Daza, and Martine Cojucom—and for good reason. The 26-year-old has made a name for herself in the Philippine beauty scene, and while she’s mostly known for her beach-babe waves, she still loves exploring different hair trends—especially the ones we've seen on the runway. We chatted with her about NYFW’s biggest trends and how we can achieve them ourselves. 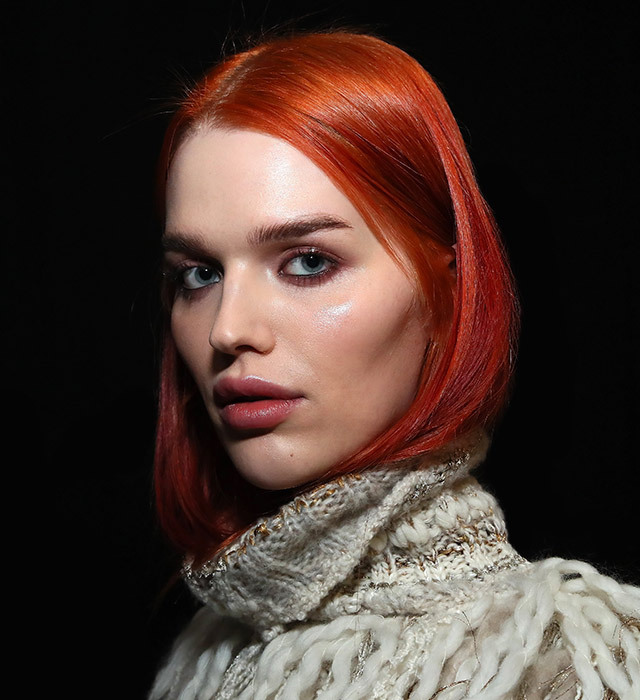 What are some of the hair trends you expect to see during this year’s New York Fashion Week? We were all so fixated on having the messy, beachy waves; now I think everyone’s trying to break up this trend and bring back something from the past: ‘80s hair. 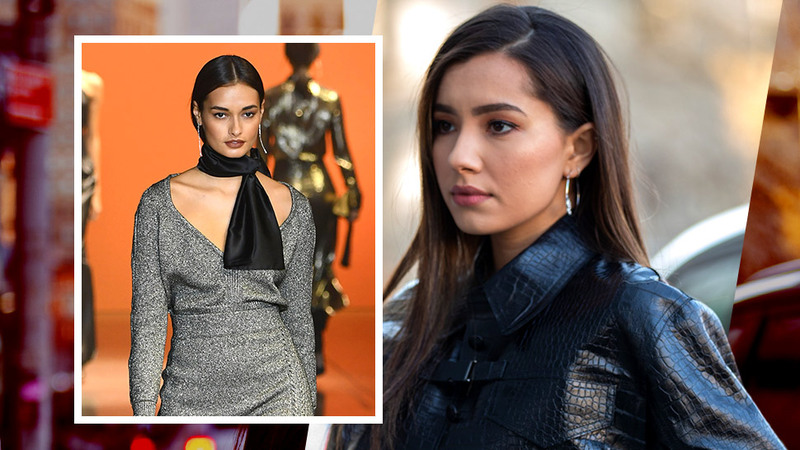 I’ve been seeing a lot of big, fluffy curls on the runway recently, but I’ve also been seeing the complete opposite—super sleek ponytails and deep side parts. Also, a huge trend that we’re seeing right now is incorporating pins to the hair, which is something we can all do. You don’t have to be on the runway to be able to use pins. Smooth, sleek, straight hair can be fairly easy to achieve, but how can we add a twist to the look? You can do a really deep part—maybe a little past your eyebrow arch going towards your ear. That will give you a really cool, editorial look, and adding some pins will make it really different. Like with fashion, hair trends also come and go, but this is one that’s always going to stay because it’s really easy to do. Could you give us a breakdown of how we could achieve this side-swept look at home? Start out by washing your hair with the TRESemmé Keratin Smooth Shampoo and then conditioning the mid-lengths up to the ends of your hair with the Keratin Smooth Conditioner. Blow dry your hair and section the part on the side that you’re comfortable with—I recommend aligning the part of your hair with the arch of your eyebrow. Smooth your hair down with a comb and spray it with the TRESemmé Extra Hold Hairspray to prevent flyaways. Finish the look off by pinning gold bobby pins to one side of your hair. Will we be seeing this hairstyle more from you and on your clients? I’m really loving this hairstyle right now, and I definitely want to engage this look more on my clients. It’s the opposite of what I usually do, which is beachy waves, but it’s nice to do something different once in a while on some of my clients. What’s your favorite thing about this hairstyle? This look is perfect because it’s simple enough where you can make a statement with your makeup and it won't clash. It’s clean, and you don’t have to fuss around so much. What’s something that people at home need to remember if they want to pull this look off? You always have to start with your shampoo and conditioner. You’re definitely going to have an easier time achieving this if you prep your hair using products that will help it become sleek and smooth upon drying, like the TRESemmé Keratin Smooth Shampoo and Keratin Smooth Conditioner. This way, you won’t have to do too much work when it comes to styling because your hair will already be super smooth as soon as you dry it. Find out more about TRESemmé’s Keratin Smooth Line by following them on Facebook.